Let the countdown begin . . I love throwing a Birthday party every year because I love event planning. I also enjoy the opportunity to have a great time with my friends, and to connect old friends with new ones! Every year I have anxiety that no one will show up but ... that's never the case. Planning the party though can be a bit of a headache. Even though it's still a month away. I still have a lot of stuff to do. Should I use evite.com? Should I send out a blast email? Should I make a facebook invite? What's the best way to spread the word. When do i send it out? Should I send a save the date? oh so many questions! Some people like know far in advance, some people only need to know a week before the event. Either way- I have to somehow please both sides. 3. What do to with you hair? What I'm wearing! Yes, I have my dress. I've had this dress since December and I've been dying to wear it. (sometimes I put it on in my apartment and walk around, I need to be careful in case I accidently spill something on it) I won't reveal it though until the day after my party ; ) so we'll keep it a secret for now. What I will say is a certain singer whose known for singing about Umbrella's wore a very similar dress not too long ago. The date! Even though my Birthday is on the 29th - I've decided to have my Birthday party on a Saturday so it's a lot easier for people to attend and also for me to prepare. I want to add something different! Last year it was food. I ordered delicious Chocolate Covered Strawberries and Cheesecake Lollipops. How was your Birthday this year? Did you have a party? Any advice or tips! I'd love to hear from you! I look forward to keeping you posted on my party plans this year until the final BIG day and dress reveal! 36 comments on "doing my party dance in ...."
What uppp Jonesy! (At least, I believe that's your name?? forgive me if I'm wrong haha) Thanks so much for passing by my blog and liking it. There's not much but I'm trying to step my blog "game" up haha. I also use Tumblr but not as much. I suggest a Facebook invite, so then everyone can respond at their own pace and you might not know everyone's e-mail address, or they might not check it regularly. But who doesn't check Facebook? woah 27 ?! you're sooo not 27 looking ! and good luck with the birthday plans ! hopefully everything goes well ! Aww wow you're so good at planning! I'm a terrible planner and so have hardly ever organised a decent birthday. You can come and organise my birthday any day ;-) or I'll come to New York. It's my dream to live there. Cute blog! Did I just see...CHEESECAKE LOLLIPOPS? OMG. Where have those been all my life? 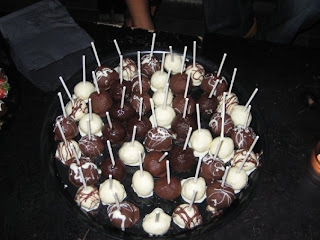 Cheesecake Lollipops???!!! Where have those been all my life!! L-O-V-E!! You're too cute! ..Hope it all works out! ...& umm cheesecake lollipops! ?- on the floor #dead! ugh...i need that. Wow this sounds amazing! And don't get me started on those strawberries/cheesecakes, ohh my. My mouth is watering. I'm sorry it took so long for my to write you! Or maybe I did write you cause I was on your blog last week. Well, you have a great blog! Have a wonderful, joyous week!! OHH!! My birthday is on 22th October..
You are going to be very beautiful with your dress and maybe in the hair you could do yourself a braid because it's a trend or something like that. I can't wait to see your dress! I bet it is fabulous! A tip my grandmother gave me, if it is a huge event, plan for about 1/3 of the guest to come. It has helped me with the big event I have planned. I hope it's amazing! What am I saying? Of course it will be. P.S. I wanted to tell you there is a SURPRISE for you on my Blog in my last post. I hope you accept! You deserve it! email is the best way...when you mail out invites some get lost in the mail and everyone is telling you that they didnt get it. do it more than one way JUST IN CASE!!! yum!!!! 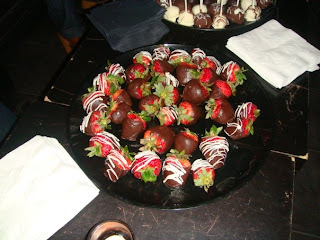 are those choco dipped strawberries? happy (early) bday! thanks for stopping by! your blog is presh. you are gorgeous! have a great wednesday, hun! the food looks good! and you look super cute! 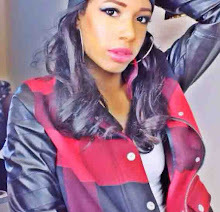 Thanks for the checking out my site.. ill def add you to my blogroll list! I love the idea of throwing birthday parties - mine is months away, but I'm definitely thinking of venues already. Can't wait to see the post from the birthday, and see the party dress. Wow, you're very pretty! Love your earrings in the last photo. Good luck with your party! Thank you so much for stopping by my blog and for your sweet comment! I LOVE birthdays, but mine tends to fall at a really inconvenient time (during finals) -- but I especially love birthday dresses. They're just more special than regular dresses, no? I just turned 27 March 1st! YAY! 27 is fab!!! it was my birthday on the 4th and while i didnt have a party and had a 60+ people new years party... i love the planning of parties... so much fun! but people always do show up and party planning is so fun! hmm advice, i donno sounds like you have it covered. i love flowers, especially combining flowers into the food deco--thats always my wow-factor. but depends on the location & vibe too. hope your bday is great!